Pescolino is made with recycled materials and has a heart device based on Arduino. The hull is made of three 1.5-liter bottles and pieces of wood. All the attaches are in hot glue and tape. The keel was made of silicone. 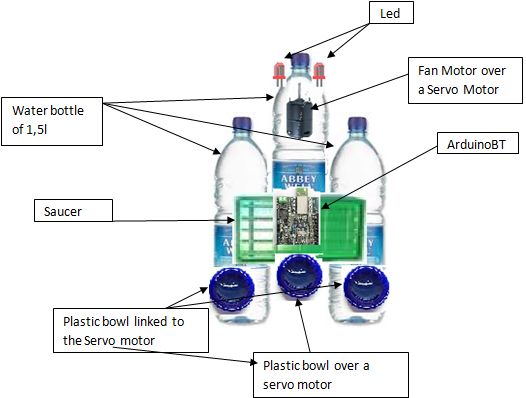 He uses two servo motors for movement and a DC motor for the fan for propulsion. Two status LED and batteries 12 AA batteries or two batteries rechargeable equivalent of 5 volts and 8 volts.